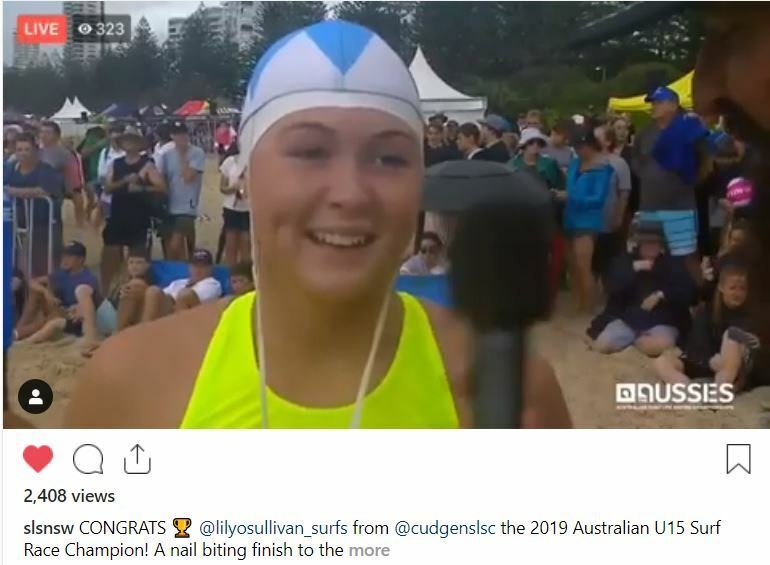 Lily O’Sullivan of the Cudgen SLSC won GOLD in the U/15 Female Surf Race & Board Race at these 2019 Aussie surf titles. Lily competed in last years 2018 Mollymook Ocean Classic at the age of 14 and finished 7th overall in a field of 170 swimmers, easily winning her age division. Her time was 28 min. 25 sec. She also competed in the 2017 ocean swim at age 13. She finished 8th overall in a time of 26 min. 40 sec. 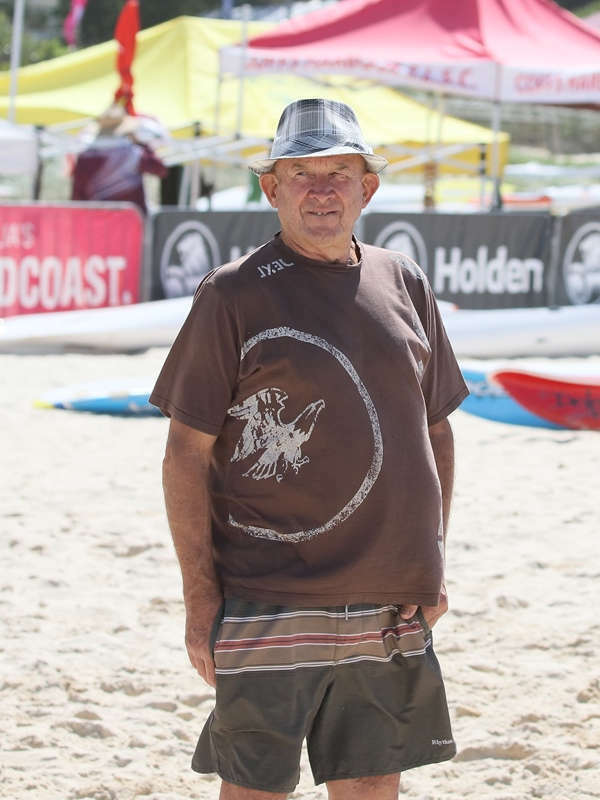 Jeff Banks of the Thirroul SLSC won GOLD over 70’s Surf Race, Board Race & Iron-man at these 2019 Aussie surf titles. Jeff competed in the 2003 inaugural Mollymook Ocean Swim Classic. He finished 9th overall, easily winning the 55-59 year age category. Neville De Mestre, North Burleigh SLSC. 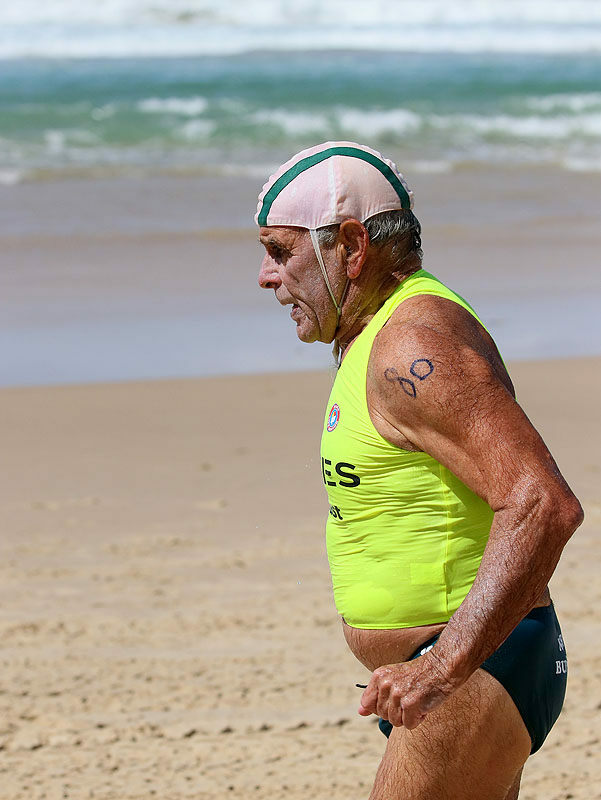 Bronze in the over 70 surf race & Iron-man at 80 years of age. Alan Metti, Cronulla SLSC. 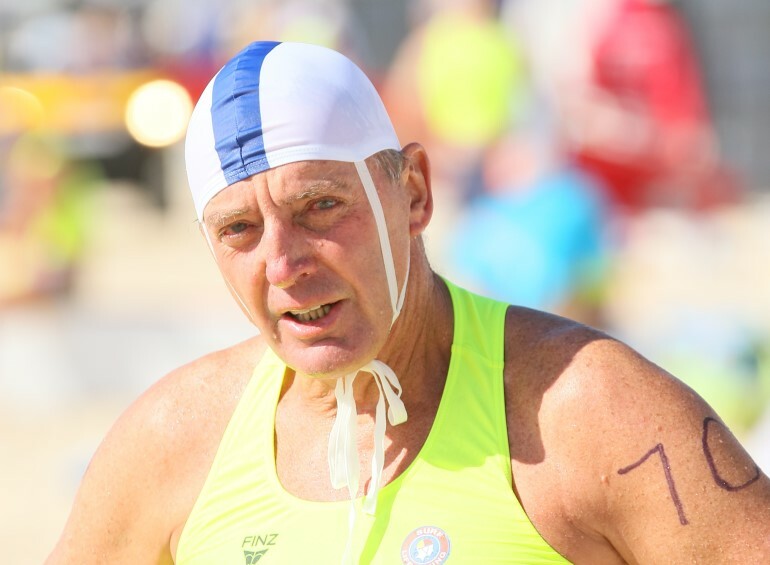 4th in the over 70 surf race & Iron-man at 79 years of age. 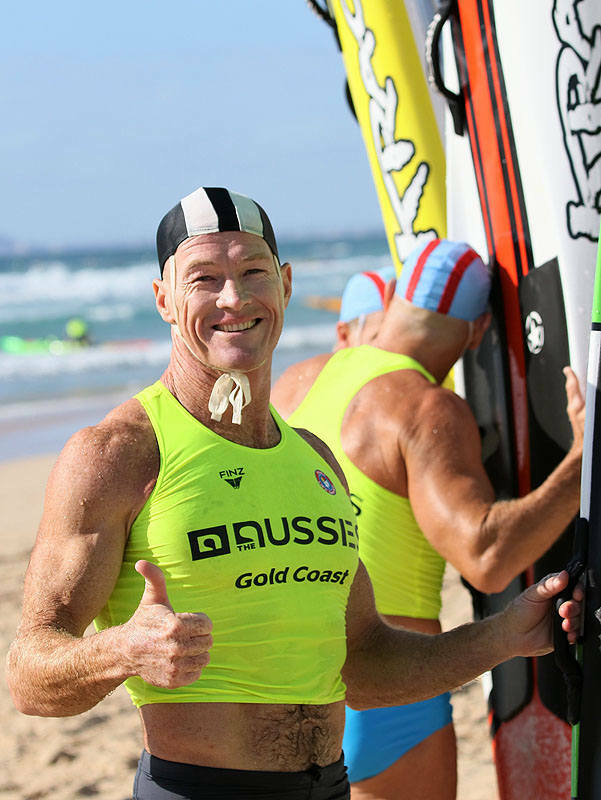 Neville De Mestre formerly of the Wollongong SLSC introduced himself and said that he was an adult in the Wollongong club and remembered when Ken Banks turned up as a kid and began competing aged 14. 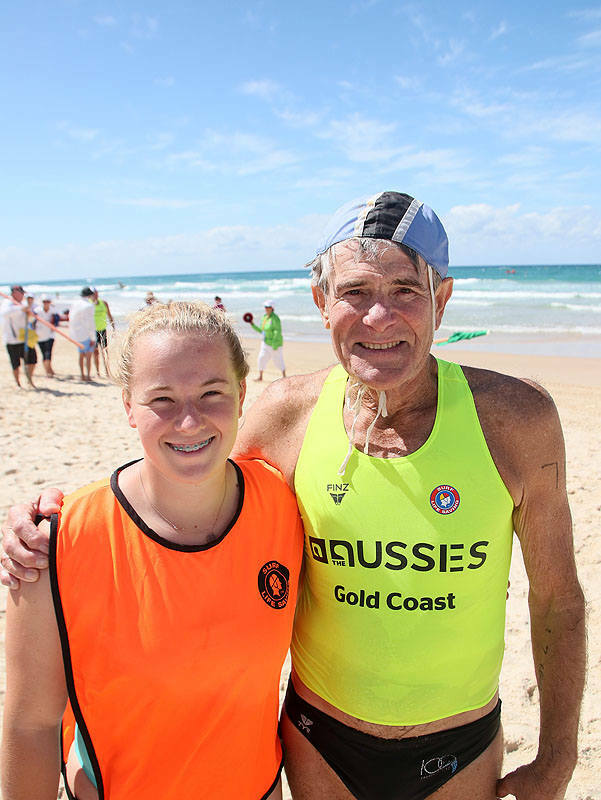 Alan Metti, Cronulla SLSC pictured with his grand-daughter Emma who was his craft handler in the iron-man event. Alan and his son are friends with local Isabel Zsanto, herself a former Cronulla resident. Cyril Baldock, Bondi SLSC and Len Harris Maroochydore SLSC: 70 years Male surf Race. John Mercer introduced himself and said he remembers competing against Ken Banks at the NSW State surf titles held at the Tathra Beach as well as on many other occasions during the late 50’s and early 60’s. Cyril Baldock swam the English Channel at age 70. He completed the gruelling 34 km marathon in 12 hours 45 minutes. Len Harris gives a wave. As youngsters back in the late 50’s and early 60’s he was almost unbeatable winning State and Australian titles during his junior days. Memories! 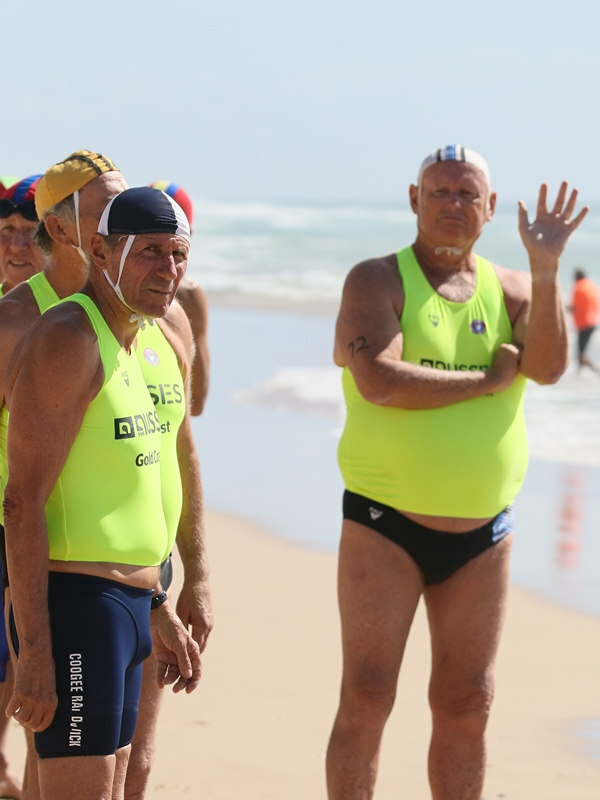 And each are here at the 2019 Aussie Surf titles, still competing in their mid to late 70’s, whilst Neville is 80.